A Dhaka court has framed charges against BNP Senior Vice-Chairman Tarique Rahman and former chairman of Ekushey TV Abdus Salam and its two other senior journalists in a sedition case. Dhaka metropolitan sessions court judge Mohammad Kamrul Hossain Mollah passed the order on Monday, reports UNB. The court also fixed January 15 for hearing the witnesses of the case. The two other accused are-- Ekushey TV’s chief reporter Mahathir Faruqui Khan and its special correspondent Kanak Sarwer, who are absconding. Earlier, on October 23, the court issued warrants for the arrest Tarique Rahman, Mahathir Faruqui Khan and Kanak Sarwer taking cognizance of the charge sheet against four of them. On January 8, 2015, sub-inspector Borhanuddin filed the sedition case with Tejgaon Police Station over the live telecast of a provocative speech by Tarique Rahman at a programme in London on January 5. 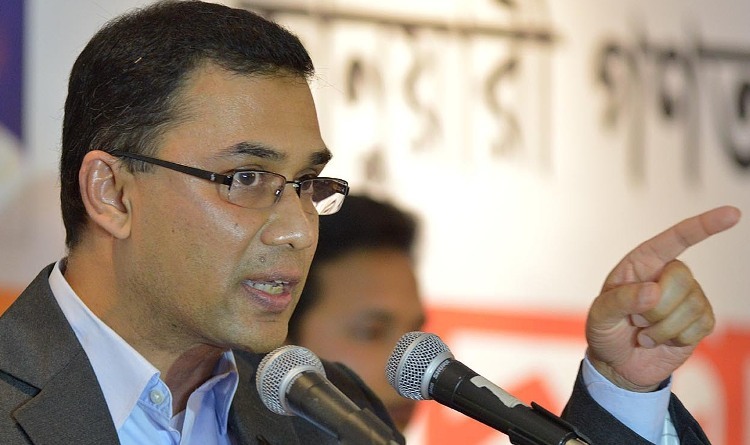 According to the case, Tarique Rahman instigated his party men by delivering ‘provocative’ speech against law enforcers which led the country to anarchy at that time. Abdus Salam committed the same offence by broadcasting Tarique Rahman’s ‘provocative’ speech on his television channel. The case statement also said the broadcasting of the Tarique’s speech posed a threat to the sovereignty of Bangladesh.